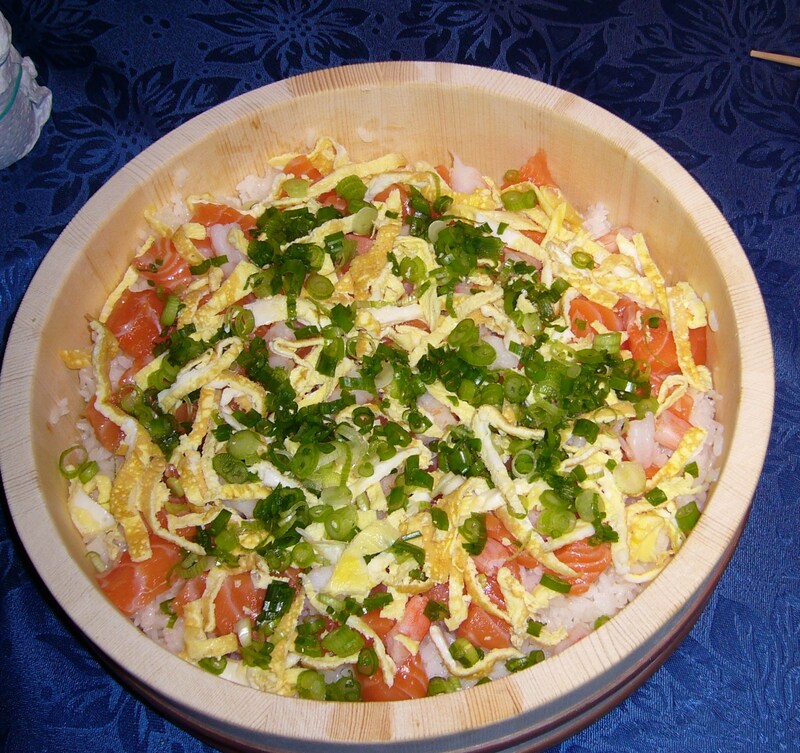 Donburi is common Japanese dish. With my elegant linguistic skills, I translate it as “stuff on rice.” This dish is not an archetypal Japanese donburi, but some traditional examples are listed on the wikipedia page. Yusuke stir fried bean sprouts, spinach, mushrooms, and carrots in sesame oil and sprinkled them with sesame seeds. 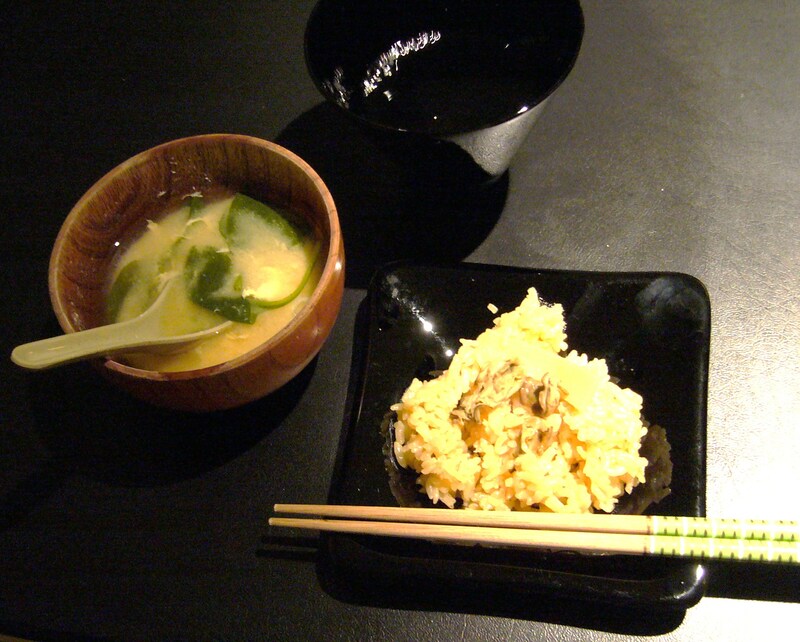 Then he neatly arranged them over a bowl of rice and added a fried egg to the centre. The true Korean touch is the red spicy Sriracha sauce. (Okay, okay, that sauce is actually Thai. 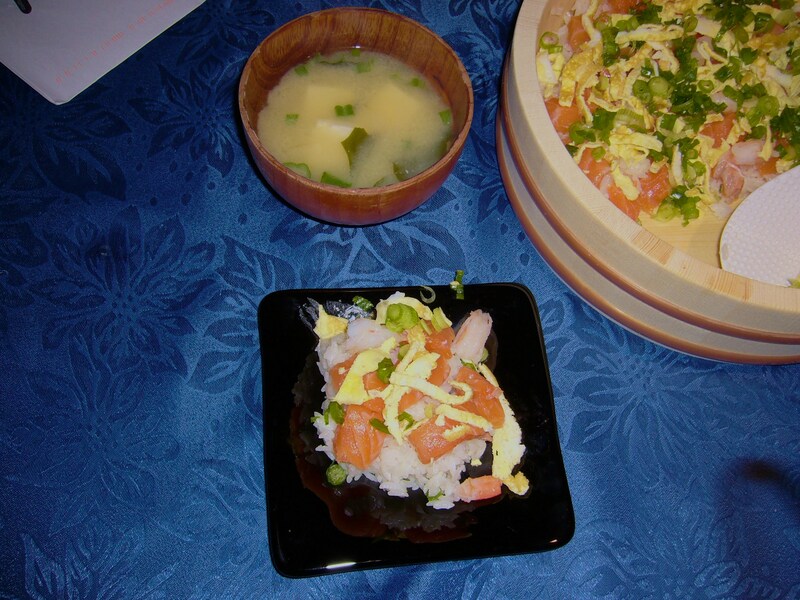 But the point is that the dish has super-hot sauce mixed with sesamified veggies and rice, ergo, it’s Korean.) After the picture was taken, we just mixed everything together and ate it. A perfect one-bowl comfort food meal.